The Nikola Tesla Lightning Show wasn’t a part of the original plan when we arrived at the Liberty Science Center. We went because the guy in front of us at the ticket counter asked about it and it sounded exciting. OMG. THIS LIGHTNING SHOW. My kids (3 & 4 – both boys) loved it. We all did. It runs about a half hour. There’s purple lightning, loud music, noise canceling headphones, and a drum set that plays itself. Knowledge and education is hidden inside the show – it’s almost like slipping spinach into the meatballs. Few notice it, but everyone benefits from it. When the show ended, the instructor walked my kids through the set simply because they asked. He was amazing. 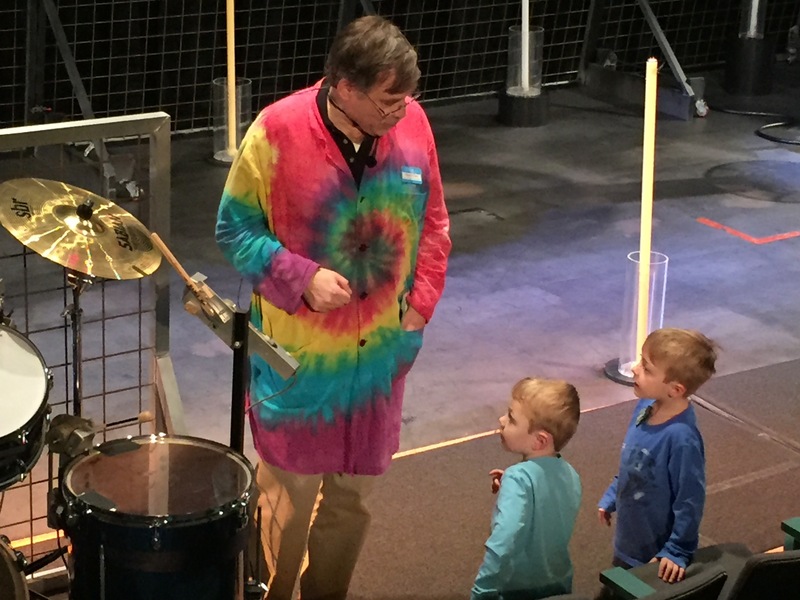 Catch the show at the Liberty Science Center every Saturday and Sunday at 1:30 pm, 2:30 pm, and 3:30 pm. Should You Bring Your Kid to a Rally?